Zell am See in Saalbach, Austria is located in the ”Europa Sport Region” and has always been a very popular place for skiing. It is well-known for excellent offpist skiing and that it caters well for the needs of snowboarders. However, Zell am See has more to offer than just skiing on your ski holiday. What you also get is to visit a beautiful village located at the Zell am See lake, dating back to the medieval ages. The village of Zell am See traces back to the Middle Ages and was founded in year 740 by monks, but actually had settlements during the Roman era. Today the village has nearly 10,000 inhabitants. Zell am See is located on the mountain “Schmittenhöhe”. The skiing here really fits skiers and snowboarders of all levels, no matter if you are a beginner or expert skier. 136 kilometers of ski slopes are offered, with a mixture of slopes for children, intermediate and advanced skiers. The hotels and apartments that are for rent are centrally located in the village and you can easily walk to the ski slopes and ski area. It is very convenient and you don’t need a car. Only eight kilometers from Zell am See you will find Kaprun and only five kilometers from Kaprun you will find the glacier with the same name. This glacier has snow all year around and you can enjoy summer skiing. Play a round of golf before lunch and do some skiing after lunch. A bit crazy but just lovely! Even if most people don’t travel to Zell am See for the sake of cross-country skiing alone, you might want to try some once here. There are over 300 kilometers of tracks which is very appealing to those who appreciate this form of skiing. There are no direct flights to Zell am See.The closest airport is in Salzburg, about one and a half hour away. 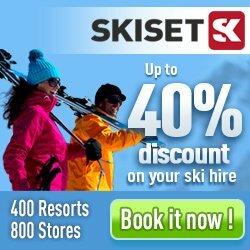 Many tour operators have good ski deals to Zell am See and you can find good last minute packages if you are flexible. Otherwise, book a flight ticket well in advance to get a cheap ticket. Here you will find in total 577 hotel, apartments and chalets/houses in Zell am See.